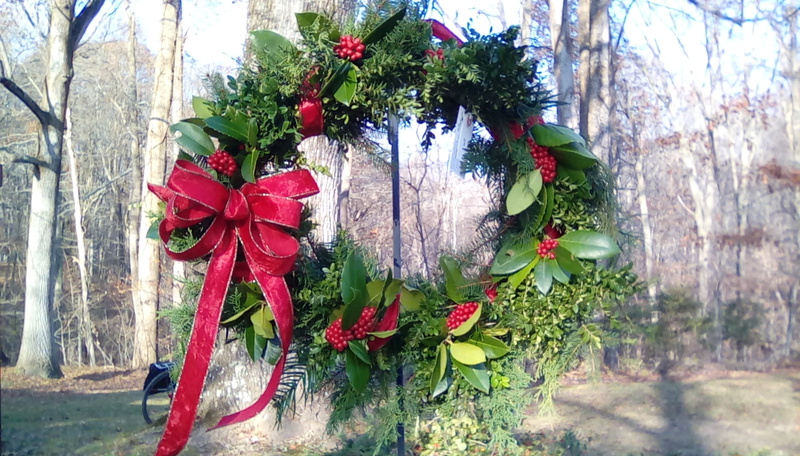 Sign up for this fun workshop & learn how to make your own holiday wreaths! 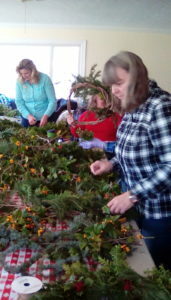 ACLT staff uses all natural materials to create the most festive and beautiful wreaths of the season. 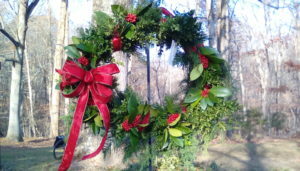 We’ll provide a vine wreath frame and teach you how to layer on greens to create a beautiful natural wreath. Each student will receive one natural handmade vine wreath frame (approximately 16″ in diameter), instruction, ribbon, handmade bows and other small decorations. Staff will teach while creating wreaths for ACLT’s Holiday Wreath & Greens Sale to be held on Dec.1 from 11am-12pm at ACLT’s South Side Trailhead (2650 Scientists Cliffs Road, Port Republic, MD 20676). At the end of the season, simply remove the wire & ribbon to reuse in the future (even the vine frame). Almost everything is bio-degradable! Supplies: A variety of greens, vine frames, wire, wire cutters, ribbon and some decorations will be available. Please bring work gloves.